Emily joined our MVC family in July of 2012. She graduated from Eastern University in Pennsylvania with a B.S. in Biology, where she was the co-founder and president of Earthkeepers, the campus environmental club. During her junior year, she studied Environmental Stewardship in New Zealand and Samoa, where she learned about sustainable care for the environment and animal conservation. 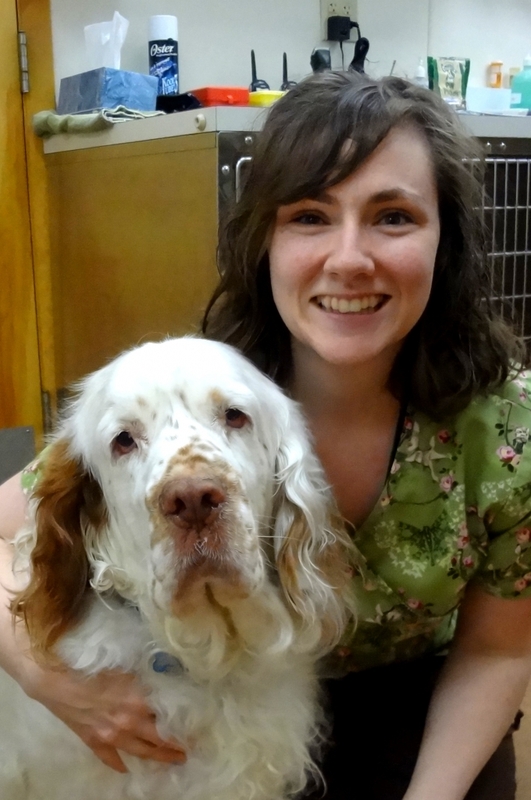 She is a graduate of Northwestern Connecticut Community College in the Veterinary Technology program, has passed the Veterinary Technician National Exam and earned her Certified Veterinary Technician degree. 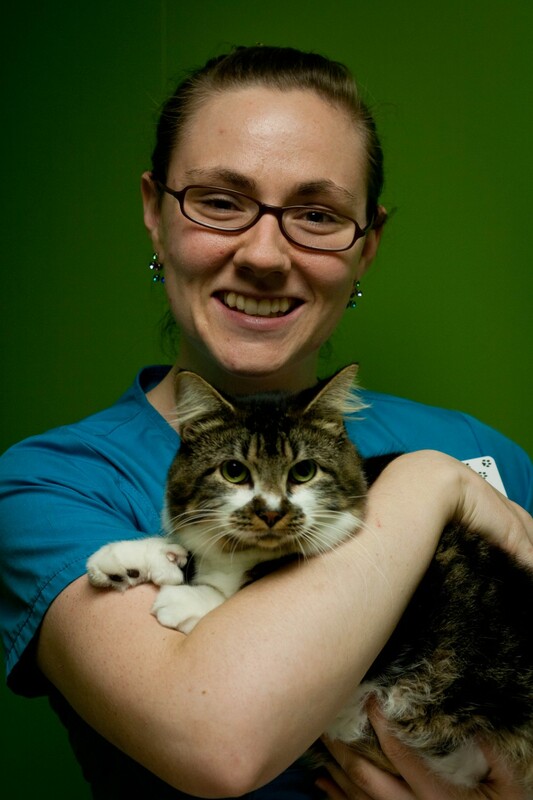 Emily has always had a love for animals, and has had quite a few cats over the years. Her most recent rescue is a cat named Owen. 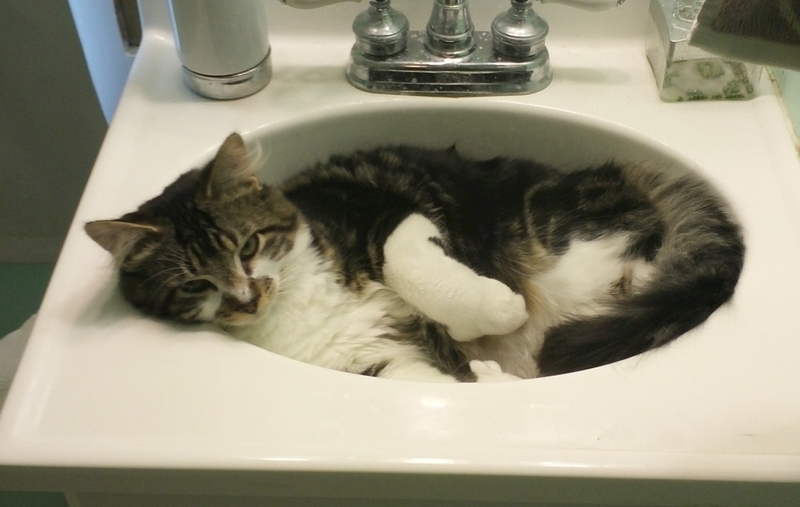 Owen came to her as a sick little nugget but with a lot of TLC has grown to be a mischievous little boy. Even though she has only had cats, she loves dogs as well. Her favorite breeds are Labrador Retrievers, Golden Retrievers, Australian Shepherds and Cattle Dogs. Once she has the space for a dog, she would love to adopt a retriever, but will probably end up getting a Pitbull, since that is her husband's favorite breed. When Emily isn't cuddling with Owen, she loves to bake (her favorite being cake, even though she doesn’t like to eat it), read, and craft (jewelry, painting, cards, and anything else she sees on Pinterest).